Pemagatshel is one of the Dzongkhags of Bhutan which lies in the south eastern Bhutan with an altitude ranging from 1000 -3500 metres high. Pemagatshel means ‘Lotus Garden of Happiness’ as it resembles a blooming lotus. More than half of the area is covered by coniferous forests and the rest is farm land. There are two shrines in Pemagatshel that attract people. 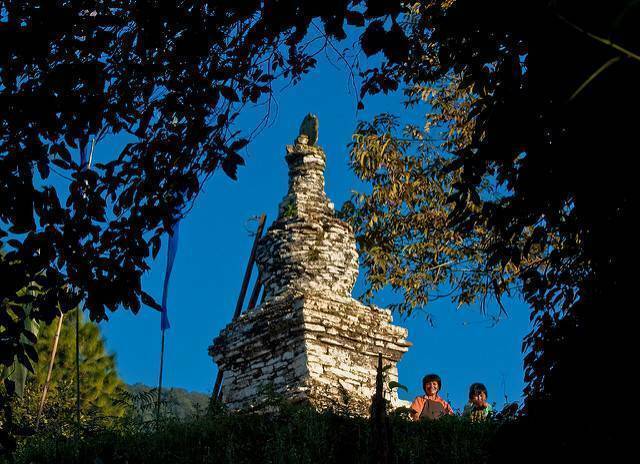 One is Yongla Goemba that sits on a ‘dagger' shaped mountain and is one of the oldest and holiest shrines in Eastern Bhutan. Second, Kheri Goemba takes a 10 minute hike from the town Kheri. It was founded by Kuenga Wangpo, son of Pema Lingpa. Statues of Guru Rinpoche, Buddha, Chenrizig and Chuchizhey are found here. There is Pemagatshel Dzong, simple in structure, yet traditionally built. Ritual instruments like Dhungs (long trumpets) and Jalings (similar to oboe) are a singularity of this place and sold through out the country. This place is also famous for a sweet called Tsatsi Buram made from sugarcane. Pemagatshel Tsechu, a Festival, takes place every year and masked dances, with which many myths are associated, are performed in this event and people share a belief that attending this festival has miraculous effects.